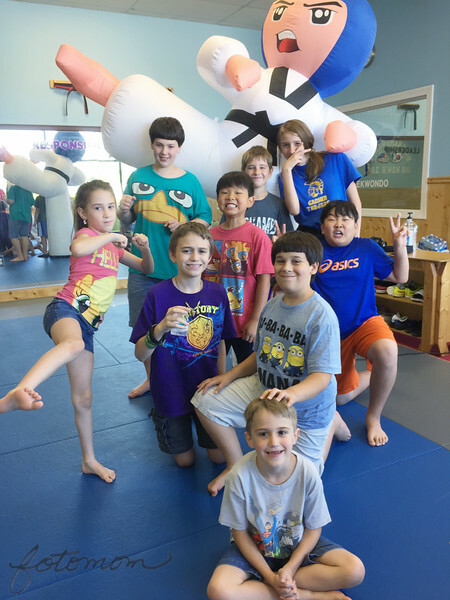 Johnny and his friends at his TKD birthday party. Isn't the TKD inflatable cool?! ?